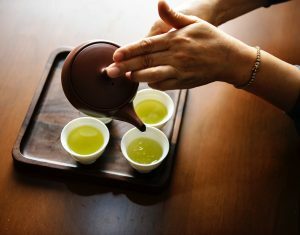 Tea, especially green tea, with or without caffeine, is very good for people with allergies as it contains natural antihistamines which makes it a great addition to your diet to reduce allergy symptoms. Histamine is a chemical that your body releases during allergic reactions. Have a cup or 2 in the morning when you get up to help prevent morning sneezing.